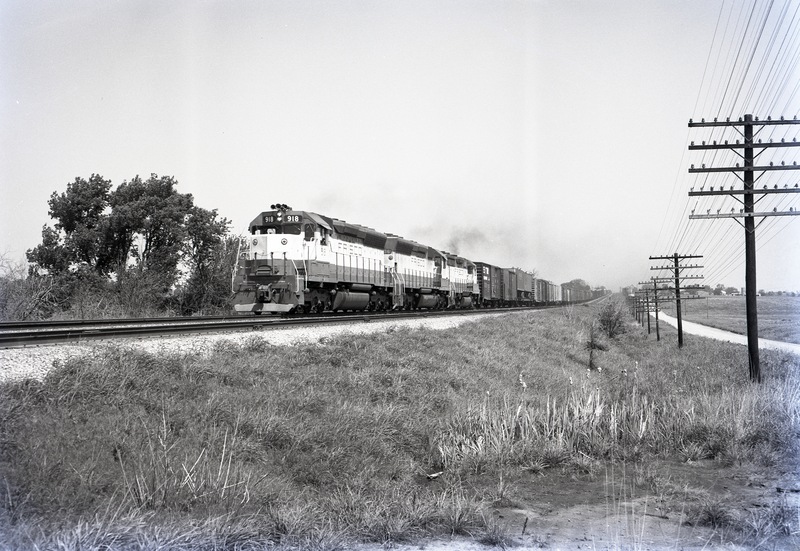 SD45s 918 and 936 at Bonita, Kansas on Train #139 on May 20, 1970. 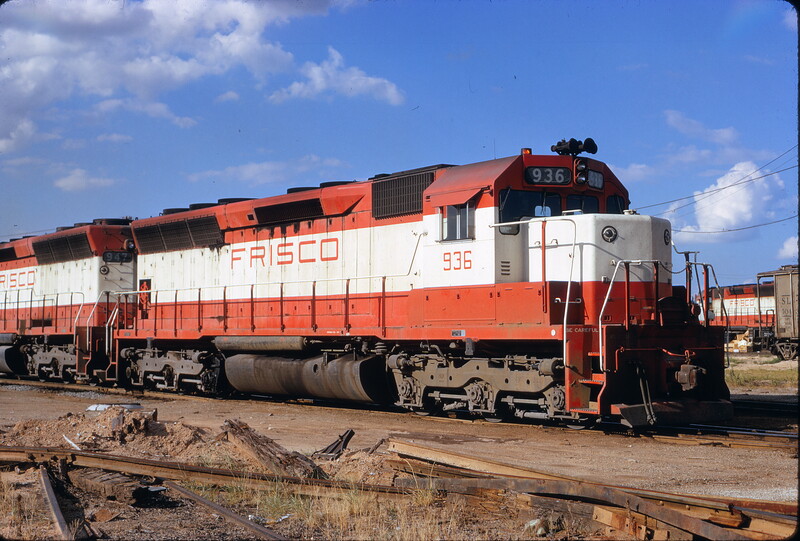 SD45 936 at Tulsa, Oklahoma on July 22, 1972 (James Claflin). 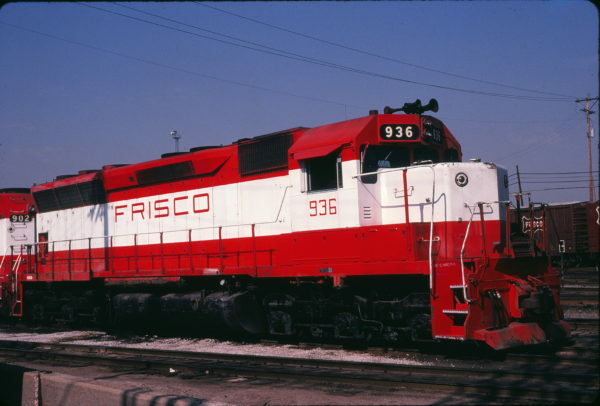 SD45 936 at Kansas City, Missouri on March 30, 1975 (James Primm). SD45 936 at St. Louis, Missouri in June 1980 (Michael Wise). 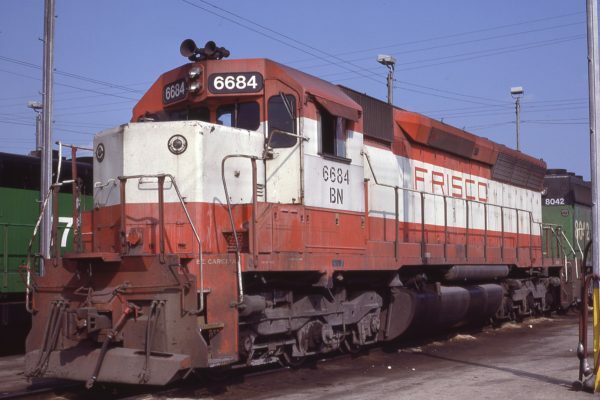 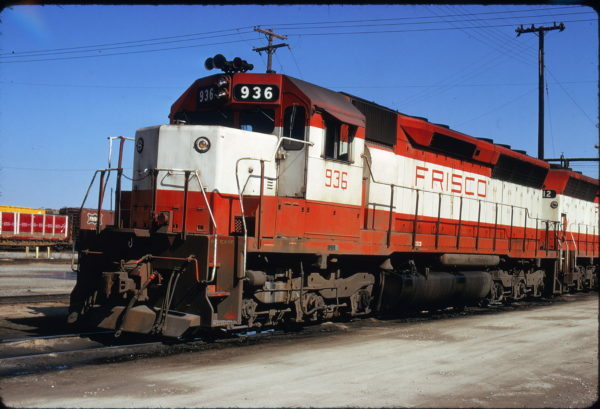 SD45 6684 (Frisco 936) at Memphis, Tennessee in July 1981 (D.M. Johnson). 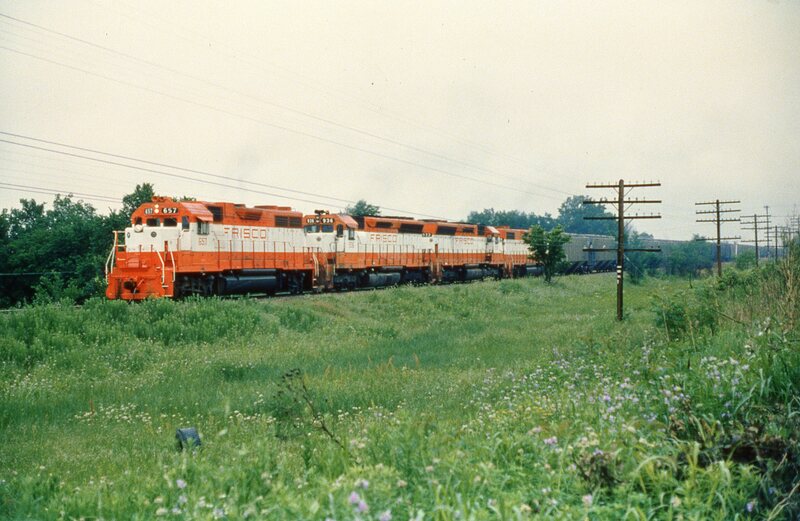 GP38AC 657, SD45s 936, 932, and GP38-2 688 at Norris, Oklahoma on June 2, 1979. 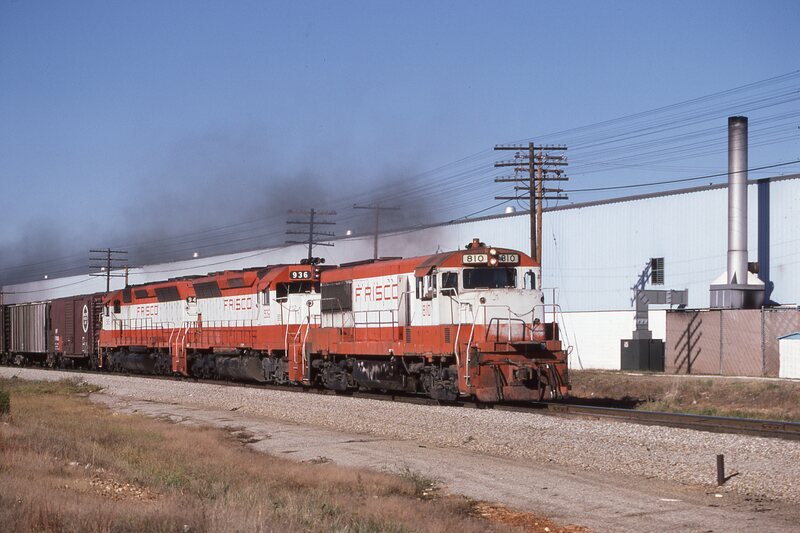 U25B 810, and SD45s 936 and 945 at Teed, Missouri on October 17, 1980.